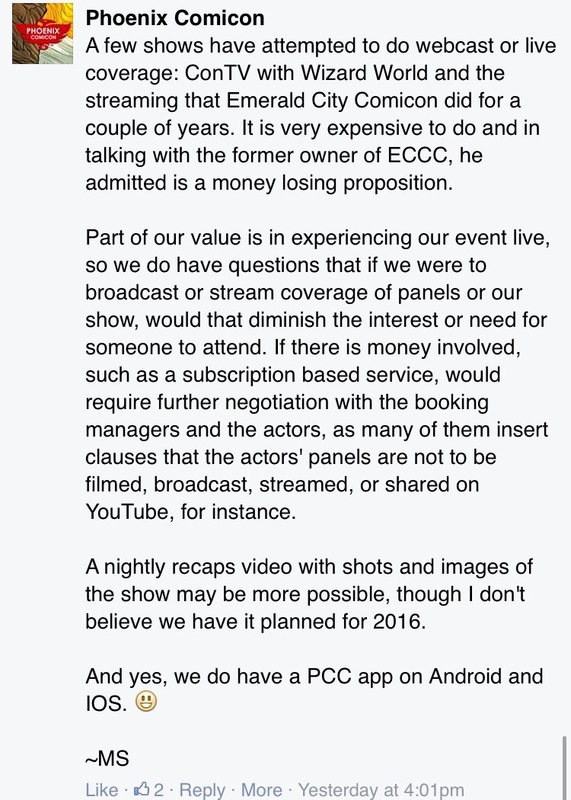 Just recently on the Phoenix Comicon Facebook page, director Matt Solberg proclaimed it “Behind the scenes week”, encouraging fans to ask questions about the ins and outs of Phoenix Comicon. 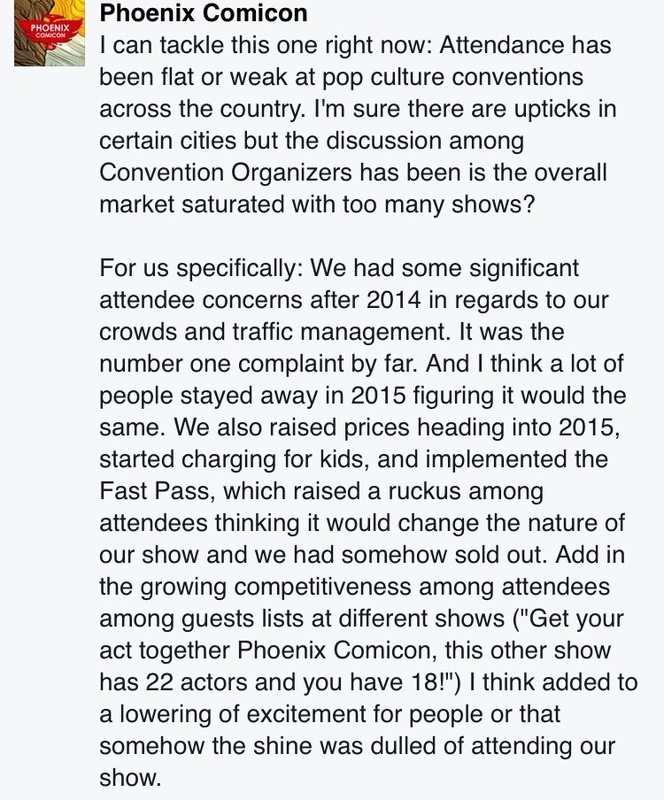 Some really interesting comments in regards to conventions and attendance has come out from it. 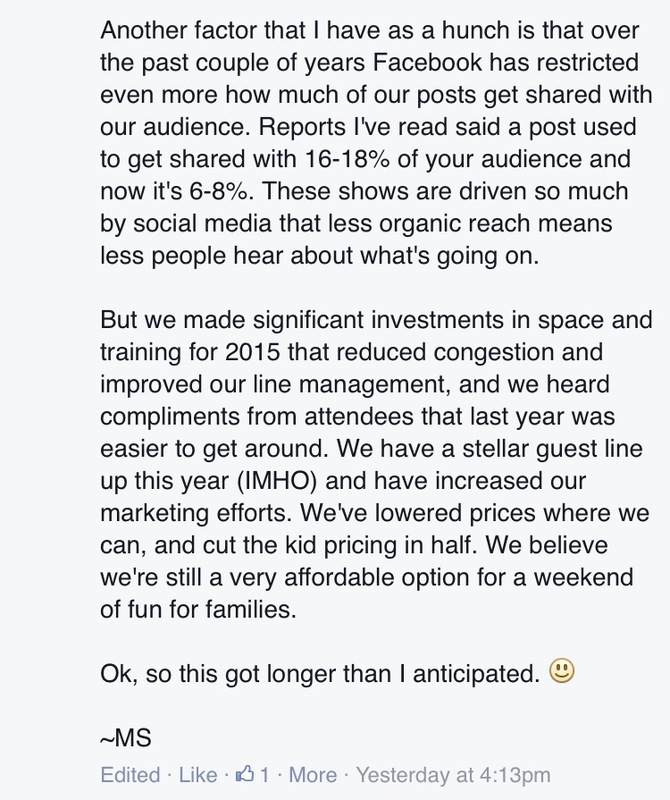 What are you guys looking forward to at Phoenix Comicon? Let’s us know on Twitter or in the comments section below.